Hi bunnies! 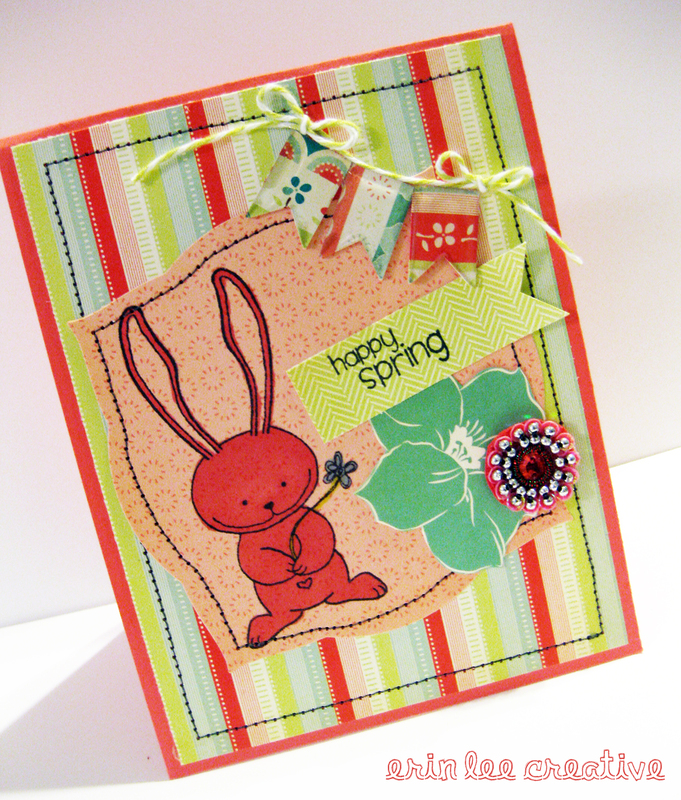 Popping in today to show you a card I made for Easter using Unity Stamp Company’s Sweet Thoughts of Spring stamp set. I even broke out my sewing machine for this one! I need more thread colors – mission for the week.